The loss of the pitches was explained to be for a minimum of three years, potentially for six years or more, depending on the progress of the construction phase. Ó Donnchú slammed the decision and said that the potential implications are far-reaching and do not represent just a physical loss. Glasnevin GAA club Na Fianna are set to lose some of their facilities after the National Transport Authority (NTA) recently announced the preferred route for the new Metrolink project. The NTA and Transport Infrastructure Ireland (TII) published a detailed proposal document for the project which includes an “Emerging Preferred Route” for the new Metrolink service. The requisition of the club’s main pitch on Mobhi Road, along with two all-weather pitches, is planned to facilitate the building of the €3bn project. 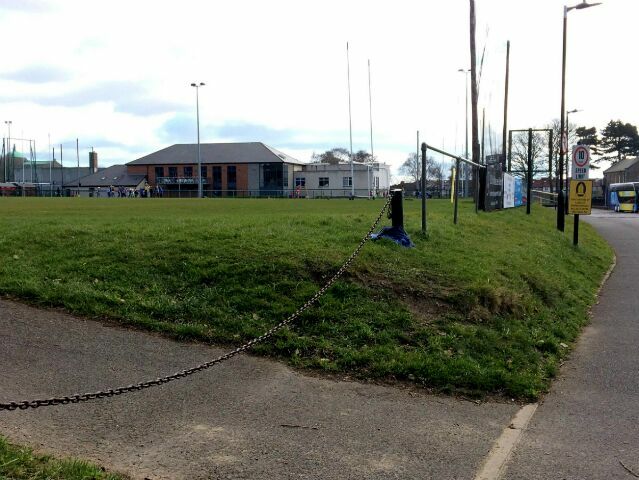 Home Farm FC will also see their pitches affected under the proposed plans. Na Fianna were first made aware that their grounds may be affected by the project on Friday 16th March, less than 48 hours prior to the formal Government announcement. TII officials advised Na Fianna that the club would be severely impacted. During the construction phase their pitches would hypothetically be used as a Tunnel Boring Depot. Upon completion, a station would be situated under Mobhi Road. In a statement, the club said they were “very concerned” and “alarmed” by the announcement. Particularly, due to the short notice given, which chairman Cormac Ó Donnchú described as a “lack of respect”. “This pales in comparison to the potential irreparable damage to a generation of young Na Fianna members through having the heart and soul of our Club ripped out,” he said in a statement. “Not to mention the inevitable fall-off in playing numbers among all age groups, through being deprived of suitable training and playing facilities. The preferred route will run every two minutes from Swords to Sandyford and has been made available for public consultation from now until May 11th, ahead of an application to An Bord Pleanála next year. Na Fianna have said they are currently exploring a range of possible actions. The GAA have pledged their full support.